A well-established independent practice providing accountancy services to businesses of all sizes offers FBHVC trade supporters a 25% reduction in their current accountancy bill for their first year with subsequent years by agreement. Services range from simple payroll work to full audit and from book-keeping to tax advice. 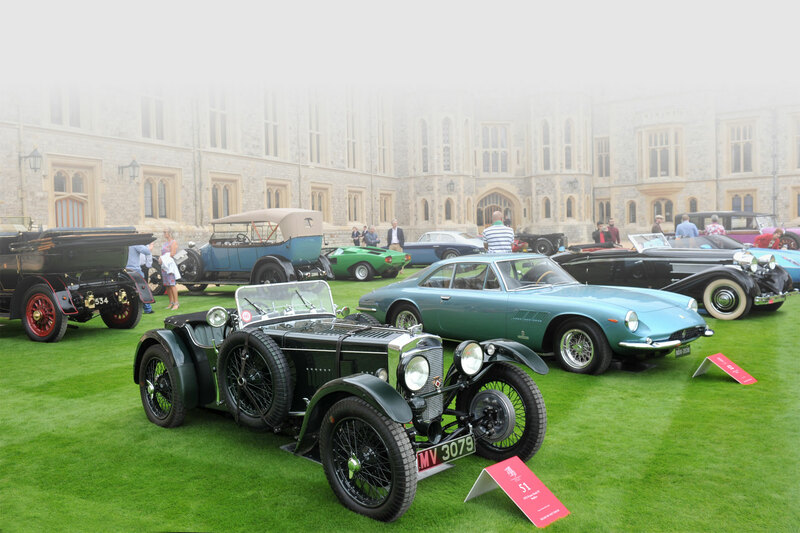 Brokers with a highly experienced team specialising in providing insurance services to traders in the historic vehicle movement offer FBHVC trade supporters a free audit of their insurance arrangements – from basic security to product liability, with everything in between. They provide a menu-driven insurance scheme that enables traders to tailor their cover to their needs within a single policy, with no minimum premiums and at discounted rates. This is a new joint venture that was announced to Trade Members in our June 2013 Newsletter between the Worshipful Company of Coach Makers and Coach Harness Makers (WCC) and the FBHVC with the first annual award to be made in 2014. The award, a substantial financial sum circa £3500, is designed to encourage young trainees/apprentices in their work of historic vehicle restoration. A runner-up award (circa £1500) is also under consideration for presentation in 2014. To maintain the momentum all FBHVC Trade Supporters have recently been mailed inviting nominations. The timescale is quite tight bearing in mind that a final selection will need to be made in December 2014. The FBHVC will select a short-list of up to 6 candidates for a final selection panel to interview. The final selection panel will comprise FBHVC and WCC members (probably 2 + 2 respectively + WCC Chairman). The public launch of the Coachmakers Craft Apprentice of the Year Award will be on Friday 15th November 2013 at the NEC Classic Car Show. The Master of the WCC, The Hon. Michael Callaghan, together with Stephen Hammerton, Past Master of the WCC and current Chairman of the Apprentice Awards Committee and John Boyes the Liveryman who is a member of the FBHVC Trade & Skills Working Group, will be present. The timescales, award promotion and candidate selection programme are outlined below. June/July 2013 - FBHVC will circulate details of the awards scheme to its Trade Supporter members indicating a Sept/Oct 2013 project start date as above. Oct 2013 - Compile initial list of candidates for 2014/15 award. Nov 2013 - Public launch of the scheme at the Classic Car Show, NEC. This coincides with 25th anniversary display by FBHVC at the show. Dec 2014 - Shortlisted candidates will be invited to display and present their project to the judging panel. The winner and runner up will be decided on the day. Early 2015 – The winner will be invited to receive his or her award at the formal and exquisite Livery Company Dinner in London. The judging panel will be made up of 2 from WCC, 2 from FBHVC and a Chairman appointed by WCC. All Trade Supporters who have any eligible candidates are invited to nominate them without delay. The criteria are explained in the letter recently sent out but are repeated here for completeness. Craft/technician apprentices/trainees engaged in the automotive industry, involved in the repair and restoration of historic vehicles and employed by an FBHVC Trade Supporter. Aged between 18-25 years old. Outstanding individuals demonstrating excellent skills, dedication and potential for future development in the industry. Employed in a Very Small to Medium Enterprise (VSME) with less than 15 employees. Ideally, the candidate will be attending some form of formal further education e.g. day release at local technical college. Produce a significant piece of work which clearly demonstrates one or more craft skills to a very high level. The project will be displayed before the judging panel. Produce a portfolio to support the project. The time scale, from initial discussions between candidateand employer to making a presentation to the judges, is nominally 12 months. Short-listed candidates will be asked to present their work and portfolio to the joint FBHVC/WCC judging panel.